Even when you wear a smartwatch, wrist-bound notifications can be handy. 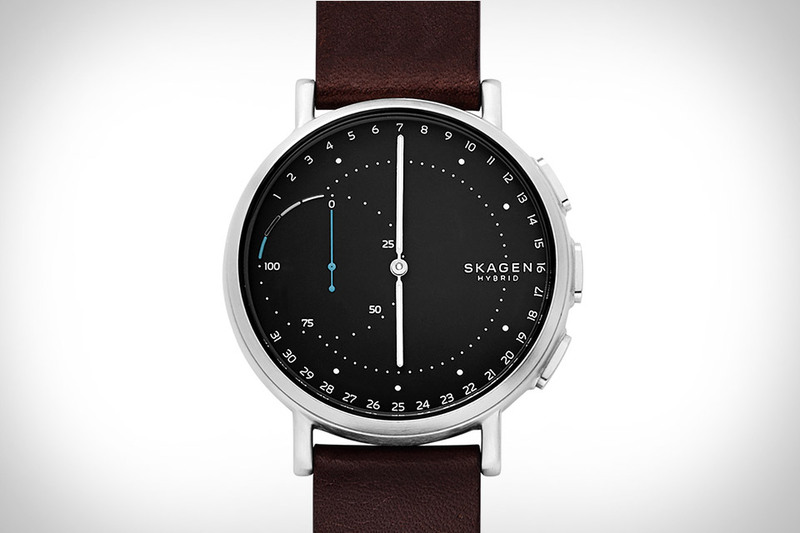 The Skagen Signatur Hybrid Smartwatch is an affordable smartwatch that looks like a classic watch but delivers basically all the smart features consumers are looking for. It has a sleek design, a Bluetooth connection facilitating automatic update of the correct date and time and discreet notifications regarding incoming texts and calls. It also allows you to control music, and functions as a sleep and activity tracker. For business travelers, the dual time function comes in handy. One notable feature of this smartwatch is that you will not have to worry about charging your watch as it comes with a non-charging standard replaceable CR2430 coin-cell battery. It will appeal to both Android and iOS fans as it can connect to smartphones using both platforms. Available in four different colors.